High tides are causing more flooding more often. 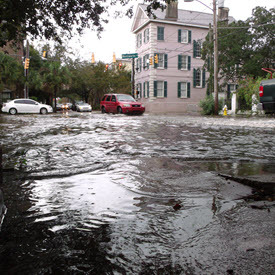 Several cities are experiencing high tide flooding 10 to 20 days or more each year along with the associated public safety and health risks, such as road closures, overwhelmed storm drains, and compromised infrastructure and water quality. Prolonged high sea levels along the West Coast and prevailing wind changes along the East Coast during stronger El Niño cycles compound nuisance high tide flood frequencies during the fall-spring seasons. Scientists say this type of flooding has increased upwards of 300 to over 900 percent since the 1960s around the U.S. coast. Flood frequencies in several East Coast and Gulf Coast cities are actually accelerating, which implies that once impacts become noticeable and of concern, they will become commonplace rather quickly. 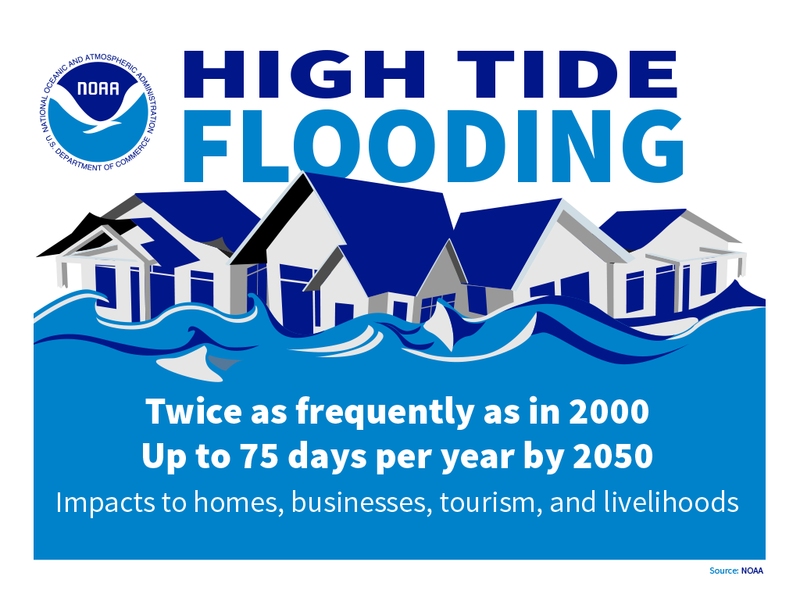 Projections say the majority of coastal communities will experience 30 days of high tide flooding annually by 2050.